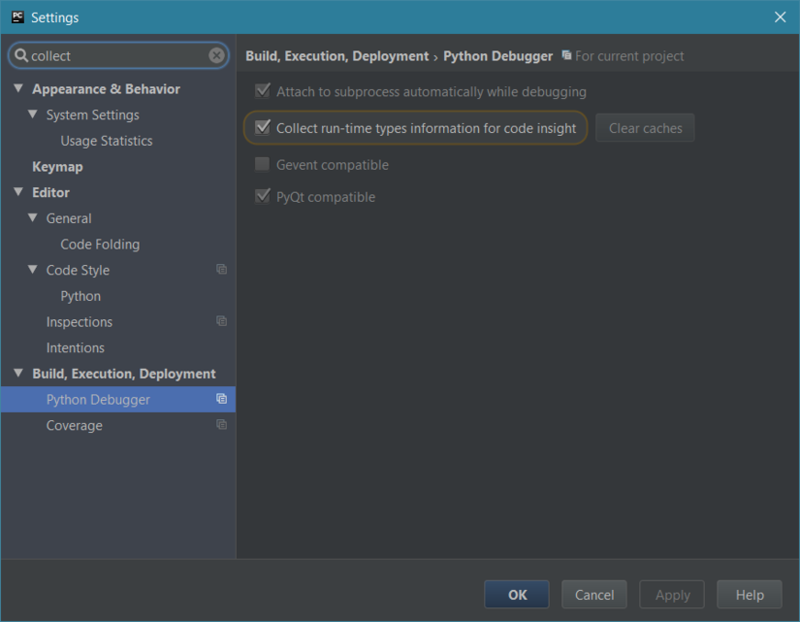 If you've written Python code using an IDE, you might have found that the IDE does a reasonable job at inferring types of function arguments and return values. But, you may have also run into instances when the IDE failed to deduce the type of an argument or of a value returned by a function. That's a slightly more complex example, but I was curious: could type hints in Python 3.5 tell PyCharm what type the elements of my all_users list have? Back up. What are type hints? Here, the type hints indicate that the name parameter of the hello_there() function is a string, and that the function returns a string. I picked the word indicate carefully: type hints aren't checked at run-time in CPython (at least by default); the main purpose of them is for static analysis (but that does not preclude other uses of them). They are also optional – you can use them as much, or as little, as you want. For versions of Python older than 3.5, other options exist using either comments or docstrings, but these aren't covered here as the specific method you need to use may depend on the tool you are using. You might inadvertently run into situations like this when you start using type hints. The first thing that's interesting here is that PyCharm has highlighted None being used to initialise an instance of MyClass as a problem. Once you start using type hints, PyCharm will highlight type mismatches like this. But why is it a type mismatch? Simply because None has a different type from int. Type type(None) in a Python console, and you'll get something with a name of NoneType back. So how do you deal with situations like this? Enter the typing standard library module. In there, we have two relevant things: Union and Optional. So, in the earlier example, we could've used Union[None, int] to indicate that None was an acceptable argument to MyClass's __init__() method. However, Optional[TypeA, TypeB, TypeC] is equivalent to Union[None, TypeA, TypeB, TypeC], so it's likely to be Optional you'd want to use in cases like this. Note also that None was used to indicate that the function does not return anything. The observant among you may be wondering if using None like this is correct, as we observed earlier that the type of None is something else. In fact, type(None) and None are interchangeable in type hints, so you may prefer to use None (as I do). It's worth noting that you don't need to use Optional for parameters with a default value of None as it is automatically inferred (though you can use it if you wish). Other useful goodies in the typing module include collection types, such as Tuple, Sequence, List, Mapping, Dict and Iterable. Using them is simple. To define a tuple type where the first element is an int and the second a str, just use Tuple[int, str]. For a list of strings, use List[str]. Another useful type in the typing module is Any (representing any type, for example when a function can take an argument of any type). Most of the collection types referred to above are examples of generics. A generic type is one where types used in its methods have been parameterised. For example, the append() method of a List[int] takes an argument of type int, and pop() similarly also returns an int. create_object() is an example of a generic function. The type of its return value depends on the type of its argument. Note that deriving from a predefined generic type isn't necessarily the same as deriving from the corresponding abstract base class. A generic version of the collections.abc.Iterable. Despite __iter__() not being implemented, we were allowed to instantiate MyIterableTyping. As you can see, that wasn't the case for MyIterableAbc, where instantiation caused an exception to be raised. You can derive from both typing.Iterable and collections.abc.Iterable, though, should you wish to. Update 26 March 2017 This appears to have been fixed as of Python 3.5.3 and 3.6.0, so there's no longer a need to additionally inherit from collections.abc.Iterable. However, I'd be careful when using this because it can pick up very specific types when a more generic type may be more applicable. I haven't had much of a chance to use mypy yet, because it doesn't yet support the async and await coroutine syntax of Python 3.5. Also note that the package name on PyPI is mypy-lang, not mypy!